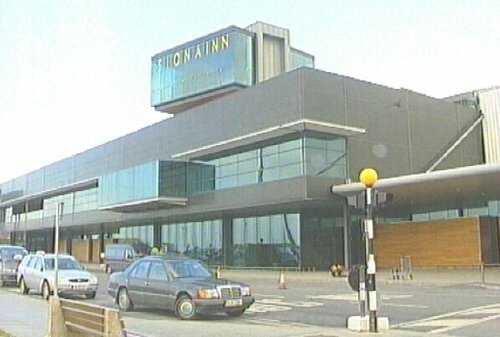 The Minister for Transport Martin Cullen has signed an agreement with the US Secretary of Transport Norman Mineta which will see the phasing out of the Shannon stopover by April 2008. The stopover will go under an open skies agreement between the EU and the US. Details of the renegotiation of the 60 year old bilateral air agreement are due to be finalised next week. The transition period will begin in November of next year. 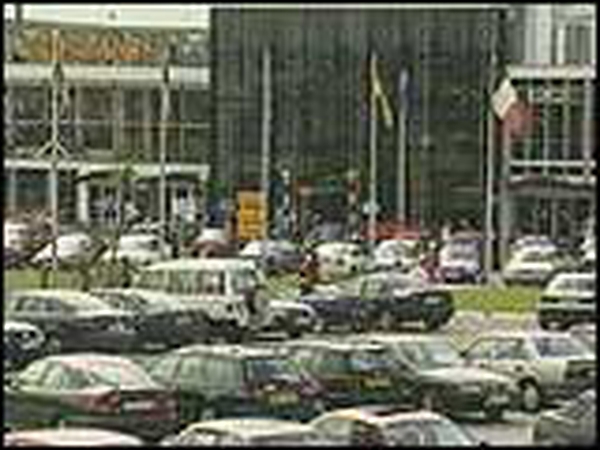 During that time the number of flights having to stop in Shannon will be reduced to one in four on any scheduled route. The air agreement will free Aer Lingus to develop three new routes to the United States - which to date the airline hasn't been able to do because of the government's wish to protect the stopover at Shannon airport. The stopover will be lifted from all cargo flights from the outset of the transition period. The Minister made the announcement in New York where he is meeting officials from the city's mass transit authority. Aer Lingus CEO Dermot Mannion welcomed the revised framework and said he envisages major benefits for both the airline and the national economy. He said on RTE radio this evening that the airline has a long history with Shannon and will seek to maintain services into the future. Mr Mannion said the move will encourage Irish tourism from the US market, and that Aer Lingus will take 'full advantage of the agreement' from its implementation next November. Figures released earlier this year by the Chamber of Commerce of Ireland suggested that the Irish economy would grow by 10% within three years of the implementation of a liberal open-air agreement. According to the CCI report an "open skies" policy could also mean a 10% increase in passenger numbers to Ireland, translating into an extra 2.5 million travellers a year. got plenty of support from industry and business groups. Shaun Quinn, CEO of Fáilte Ireland said targets have been set to grow visitor numbers to Ireland to 10 million by 2012, and that this agreement is one of the key elements that had to be addressed to provide the conditions to drive this growth. The Irish Hotels Federation says the renegotiation of the agreement is a big step forwards for Irish tourism. The Dublin Chamber of Commerce welcomed the announcement of the phasing out of the stopover and said the move will boost Dublin's ability to attract further foreign direct investment and tourism. Gina Quin, the chief executive of the Dublin Chamber of Commerce, says this presents an opportunity for Government to put more money into Aer Lingus, so it can take advantage of its new transatlantic routes. Tourism Ireland chief executive Paul O'Toole said he is confident that once matters are finalised there will be strong interest from carriers in increasing services to Ireland, and an increase in tourism from this key market. He added that Tourism Ireland will work closely with the Shannon Airport Authority, Shannon Development and the tourism industry to promote the Western Seaboard and ensure that the region maximises its share of the new business potential. The DAA said Shannon Airport needs to address its underlying financial difficulties and place itself on a self sustaining commercial footing. The group said it welcomed the Minister's announcement that he has obtained assurances from Aer Lingus that it will maintain current levels of transatlantic traffic from Shannon including regular year round services with Boston and New York. The DAA said the agreement presents opportunities and challenges for Dublin Airport and places even greater focus on the Airport's €1.2bn, ten-year capital investment programme, beginning next year.